We strive for achievable goals. Our primary goal is simply to make you a more proficient and confident shooter. No matter which of our training disciplines you choose, you will find the best, most current instruction available. This instruction is provided by a veteran staff with over 35 years of combined experience instructing law enforcement and military. As a well known U.S. Border Patrol Agent once said, “There is no second place winner in a gunfight.” Another famous United States Army officer said, “In their lifetimes most people will never need a gun. Those that do, will need one very badly.” Proper firearms training breeds confidence, and confidence is necessary for a winning attitude. Should you ever find yourself in a life-or-death situation, your attitude will be the key factor of your survival. We hope you will never have to use a firearm to defend your life or the life of a loved one but should that situation occur, we do want you to approach it with strength, knowledge, and confidence. Oregon Precision Firearms Training has a devout belief in the 2nd Amendment and the law abiding citizen’s right to keep and bear arms. We also have a strong belief that if you own a firearm for personal defense, hunting, or competitive purposes, you owe it to yourself and those around you to be well trained and proficient in its use. We can give you the skills, proficiency, and knowledge. The rest is up to you. Come to the beautiful high desert of central Oregon and train with us. We look forward to meeting you! HEREOur instructors are highly qualified and experienced. With over 50 years of combined armed service experience, they are among the best in the business. Among many other qualifications, all of our teachers are NRA certified instructors. Select a trainer on the left to find out more about his credentials. 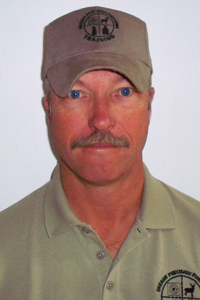 Mike is a founding partner, and the current owner / lead instructor for Oregon Precision Firearms Training LLC. He has spent a life time shooting and re-loading, at times competing in NRA Small Bore, Military Service Rifle, and IPSC. He recently retired from the Army Reserves as a Sergeant Major with most of his 31 years in the 1st Special Forces Regt. Mike also retired from the Oregon Law Enforcement Training Academy (DPSST), where he was the senior training Lieutenant for regional / advanced training. He was responsible for developing and teaching advanced firearms and tactics for agencies around the state, including the 2 week long Firearms Instructor Development Course. Mike has developed and taught numerous courses to allied nations military and law enforcement units and has been asked to present at International Association of Law Enforcement Firearms Instructor Regional Training Conferences. With numerous deployments, and over 30 years teaching firearms, from youth 4-H shooting clubs to elite military and law enforcement around the world, his experience brings a unique no non-sense approach to your firearms training experience. Certifications include NRA handgun, Law Enforcement Handgun, Law Enforcement Patrol Rifle, Oregon 4-H Pistol, Oregon Firearms Instructor as well as various others. Professional memberships include: Patron Member of National Rifle Assn., International Assn. of Law Enforcement Firearms Instructors, Life Member Veterans of Foreign Wars, Life member Special Operations Assn.